In 2012, a programme of extensive restoration began on Roker Pier & Lighthouse, a Grade II listed structure which had fallen into disrepair after decades of not being used. Funding from the Heritage Lottery Fund has allowed Sunderland City Council to work on the structure, aiming to sympathetically restore it to its former glory when it was opened in 1903. The Pier was well on its way to be fully completed, until a storm in November 2016 delayed restoration when gale force winds and huge waves washed away the railings and the coping stones they were cemented into at the far end of the pier. 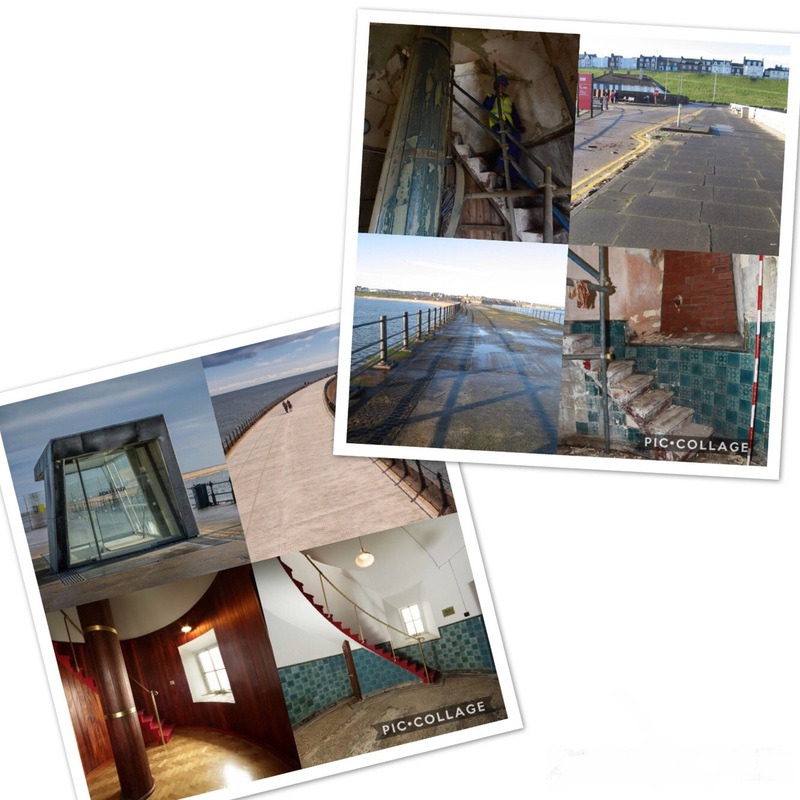 It is now 2018 and the lighthouse interior, pier surface and railings, tunnel floor and drains and accessibility throughout the entire structure have been improved to a very high standard, truly reflecting the spectacular heritage of the building. A new entrance structure at the mouth of the Pier Tunnel marks the final stage of the Pier & Lighthouse rejuvenation. The innovative design of the entrance allows safe descent into the pier tunnel, meaning guided public tours can take place for the first time in the iconic landmarks history.